This month’s Power BI Mobile release includes new updates to help you find your most interesting assets faster, and creating a more consistent experience when using Power BI between computers and mobile devices. May brings the new Shared with me view, designed to reduce clutter when searching for dashboards that are shared with you by others. We’re also introducing Apps! These collections of purpose-built dashboards and reports are grouped together so you can share BI information with your colleagues simply by pasting the URL address from your browser. Additionally, you can now connect to a Power BI Report Server, and view Power BI reports directly in the app. Learn more about all these great features below, and make sure to register for the 2017 Microsoft Data Insights Summit to see all these exciting Power BI features in person! 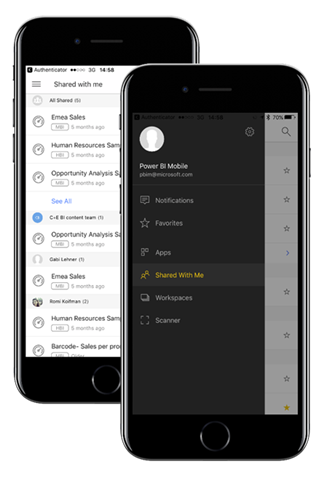 Earlier this month, we added the new Shared with me view to the main navigation across all platforms of Power BI. Shared with me is your central hub for all dashboards that are shared with you by others. They are grouped by owner and sorted by share date, so it’s even easier to find a particular dashboard. You can even favorite shared content that you visit frequently right from the new view. As always, all the shared content is also available via the application search and recently visited items list. With Power BI Apps, now in preview, you can easily keep track of collections of purpose-built dashboards and reports to make data-driven decisions while in your office or on the go. Once installed, you can access your apps via the web portal or your mobile device, and you can easily find and return to your content as it’s all in one place. Apps can be installed either from Microsoft AppSource or from a shared link. Installing an app from a link can be done directly from your iOS, Android, or Windows device by clicking the link in the email. The app installs automatically and opens in its default landing page. Learn more about creating and publishing apps for your organization. 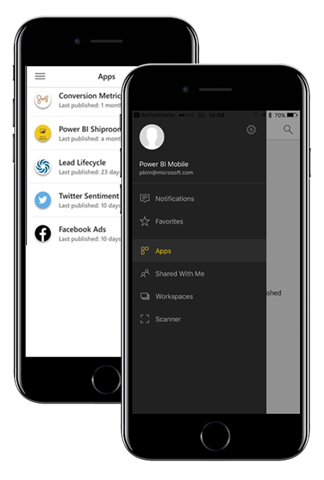 Power BI iOS apps now support Universal links. This means that you can now share dashboards, reports, in-focus tiles, and organizational apps with your colleagues by simply copying the URL from the address bar of the web browser and pasting it into an email or any messaging app. 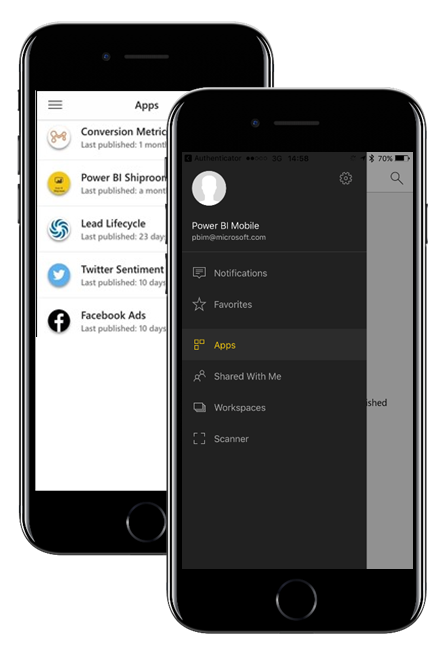 Clicking the URL from any iOS device will direct the user to the shared item within the Power BI mobile app, providing them with the best consumption experience. This a great way to distribute data to your organization while easing the transition across devices. Additionally, when sharing an app through a universal link, the app will be automatically installed so you don’t need to search for it in Microsoft AppSource. 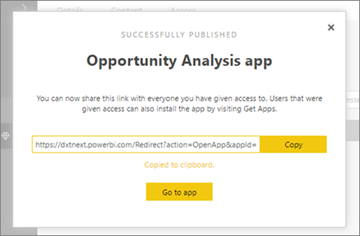 We heard your many requests to allow access to Power BI’s reporting capabilities from on-premises! 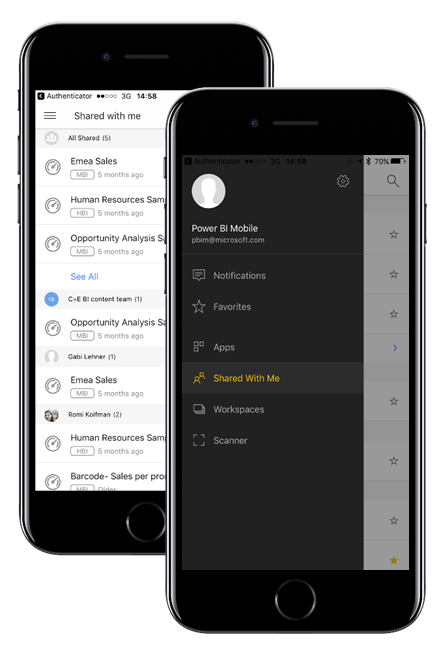 You can now upload Power BI reports (PBIX files) to Power BI Report Server, and view them in the browser and on your Power BI mobile app. This change provides you with the rich functionality of Power BI reports – including all of Power BI’s visualizations and interactions – combined in an on-premises BI report server solution. View your Power BI reports along with the already available KPIs and mobile reports. 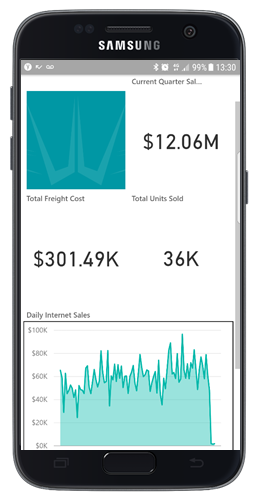 Learn more about how to upload Power BI reports to SQL Server 2016 and how to connect to your SQL Server 2016 from the mobile. Don’t miss the Mobile sessions in the upcoming Data Summit! We are very excited to meet you all at the Microsoft Data Insights Summit! Join us for the mobile sessions listed below. If you haven’t yet, go register now for the Data Insights Summit.